A follow-up to their award-winning Flatbreads and Flavors, Seductions of Rice is every bit as thorough, fascinating, and informative. Husband and wife team, Jeffrey Alford and Naomi Duguid are photographers, writers, great cooks, world travelers, and above all passionate about their favorite food—rice. For Seductions of Rice, they traveled to the major rice-eating regions of the word and experienced firsthand dozens of varieties of rice and brought it all home. There are many wonderful dishes (often with some unexpected flavor combinations) from the world’s greatest rice cuisines, all illuminated by their own stories, insights, and photographs. Seductions of Rice begins with all the basics of rice; dictionary, how to cook, storing, buying… and then visits the cultures of rice: Chinese, Japanese, Thai, Indian, Central Asian, Mediterranean, Senegalese, and North American. Wide-ranging and appealing recipes from each culture are scattered throughout, Thai sticky rice with grilled beef salad, Louisiana gumbo, South Indian lentil stew, Persian kebabs with saffron-tinted rice, Spanish paella and Mexican rice pudding—hundreds in all. 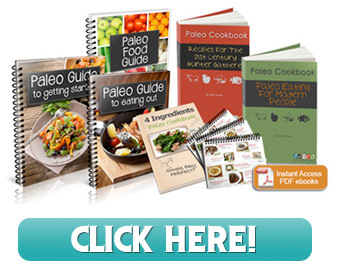 Recipes are conveniently organized in the appendix both alphabetically and by origin of each dish—a simple example of the authors’ attention to detail and the usability of their cookbooks. 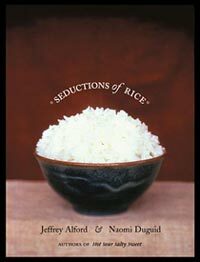 Seductions of Rice is an engaging introduction to a variety of cultures and cuisines, and the authors’ love of this ancient, yet simple staple food is infectious. Not only does this book inspire serious browsing, but just leafing through the pages makes one want to make rice part of your daily meals too.